Yahoo! has killed their Finance API that many people used in free stock quote software. Sorry, Unable to process request at this time -- error 999. 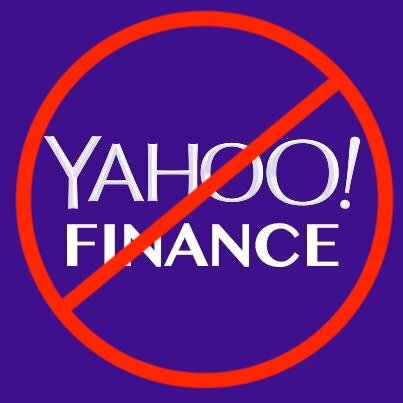 It has come to our attention that this service is being used in violation of the Yahoo Terms of Service. As such, the service is being discontinued. For all future markets and equities data research, please refer to finance.yahoo.com. It was sure nice of them to give the users a warning. Luckily, I found a method to to scrape the data from their webpages when they stopped allowing the Dow Jones Index to be downloaded through the quotes.csv API. All I needed was the basic price data that came from the quotes api. I don't need historical data to go along with it. I noticed that the data I need is in the title of the page. You then simply call PhantomJS with render_ostk.js as the single parameter. This Python code simply finds the title of the webpage, splits the text of the title into separate variables, and then saves those. These values come back as strings from BeautifulSoup, so that is why you see the type casting. I needed to do comparisons on the values to get the plus or minus signs tacked on to the strings when exporting to a CSV file. There's probably a better way to do this, but it worked this way. I made a script which calls PhantomJS for each symbol I want and then runs a Python script to parse the data for each symbol and puts it in the CSV. At this point I got a cron job setup to run every hour to keep the CSV file updated. From here, the CSV is imported into a private webpage and the values are all together on one convenient page for our announcers. Hopefully someone can benefit from this as they work through what to do about the Yahoo! Finance API deprecation. The SMTP server at my work has become quite unreliable. This is why I wasn't receiving email alerts from my Dell servers in my previous post. Also, in a web application that we host, students weren't getting email alerts that they should have been receiving. We changed that web application to use Office 365's SMTP server and email alerts have become reliable again. On the Dell servers, I was using an application I found called DellSMTPNotify.exe It worked great when our own SMTP server was reliable. It was time to take advantage of the more reliable SMTP server of our hosted Office 365 Exchange setup, but you have to use TLS encryption over SMTP to use Office 365. The DellSMTPNotify program does not support SSL or TLS encryption over SMTP as far as I can tell. It was time to investigate other solutions. I found a PowerShell script called OMSA-Notify that someone had already written. You can, indeed, use PowerShell to send email over an encrypted connection. I just needed to figure out how to modify the OMSA-Notify script to suit my needs. I got everything configured, so I thought, but the script just wasn't working. PowerShell just seemed to be sitting idle and would eventually give a timeout error. That's when I realized I was trying to connect to an SMTP server on the public internet, but I was running all of this on a server that was behind a proxy server. I thought I would just try and configure PowerShell to use the proxy server to send my SMTP commands, but that didn't work either. My research led me to the conclusion that SMTP commands can't be send over an HTTP proxy without installing some sort of relay program. I was at a dead end. Later on, however, it hit me that I could setup a remote PowerShell session to one of our servers that is using a public IP address in front of the proxy server. My co-worker had already setup something similar in a PowerShell script that connects to our Microsoft Data Protection Manager server to setup automatic backups from individual client machines. To setup a server to accept remote PowerShell sessions, you simply need to run "enable-psremoting" from a PowerShell session running as Administrator. That should do it. After getting remote PowerShell setup, my script was still failing. The smtp.send command wouldn't work because the mail message wasn't being passed to the remote session properly. I then had to setup the passing of parameters into the remote PowerShell session and actually construct the mail message in the remote session. You simply use the "-ArgumentList" parameter to send local variables to the remote PowerShell, as seen in the Invoke-Command line in the script. I just discovered at work that a drive in one of our production servers failed about a month ago. The server kept humming along like nothing was wrong at all. I had email reporting setup to alert our team when there is a failure. Apparently it isn't working anymore. I'll have to look into the alerting system. With this post I just want to express my gratitude that RAID exists. The acronym RAID stands for Redundant Array of Independent Disks. It allows you to essentially combine many hard disk drives into one large drive. However, that isn't all. RAID has redundancy built in, if you pick the right configuration. In a RAID array your data is spread across all of the disks, which allows for all of the disks to work together for better performance. Parity data is also written to each disk. Parity data is the critical part. This type of data is really many calculations performed and stored on each drive. Parity data allows all of the data on one drive to be reconstructed should a drive fail. I won't go into detail on how RAID exists in this post. There's plenty of places on the web that explain RAID. It will suffice to say that we configured our RAID array in RAID level 6. This essentially creates double parity across all of the drives. Double parity allows two drives to go dead and still have intact data. We have a replacement drive coming tomorrow. I'll get that installed and then our array will be back in an optimal state. Right now it is basically doing calculations every time data is requested. Our users don't even have any idea that a drive in our server has been offline for over a month. I'm really glad RAID exists. We all know what a proxy server does, right? A proxy server acts as a sort of path to the internet on a network that is not otherwise connected to the internet. Your computer talks to the proxy server, the proxy server requests the web page you are looking for, the web server sends the page back to the proxy server, and the proxy server sends the page to you. What if you wanted to do the opposite? What if you have web servers that are not directly connected to the internet and you want to have them serve pages to the public? A reverse proxy can do this for you. In my case, I have a live TV server on my home network that I want to make available on the public internet. I have made a post about Emby (formerly Media Browser) before. It's a great way to stream your live TV and recordings to your various devices. However, I decided that I wanted this traffic to be encrypted and I wasn't very happy with the way Emby handles SSL on its own. Here is where a reverse proxy comes in. A full featured web server handles SSL much better than a standalone application can. I wanted to be able to plug in the automation of Letsencrypt to be able to conveniently renew my SSL certificate. I couldn't get this working with Emby itself. So, I turned on the IIS feature on my Windows box and setup the proper domain binding on the default website. 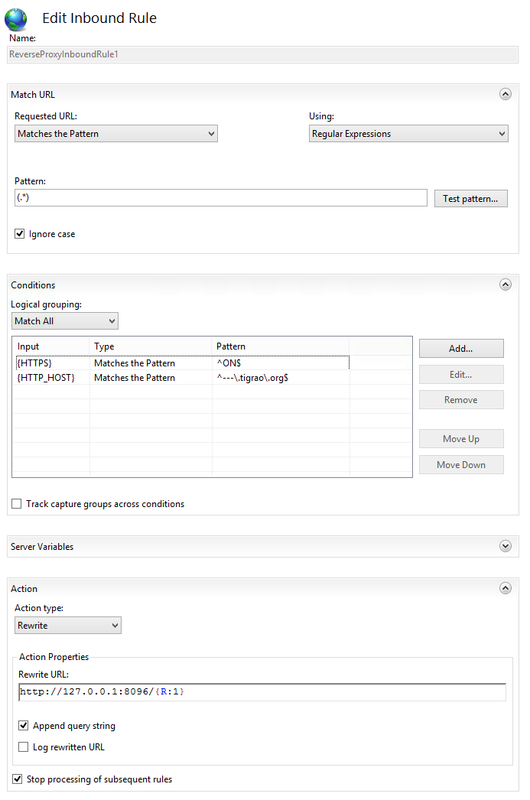 Then, I installed the Application Request Routing extension for IIS. Then I enabled the proxy feature of the extension. Then the URL Rewrite module needed to be installed. 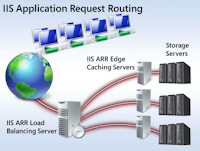 After installing, you need to create rules to work with Application Request Routing. It worked beautifully! I also got the added benefit of not having to specify a port number in my URL anymore. My requests to my domain are now standard port 443 https requests. The requests then get proxied to the Emby app on port 8096 running on the same machine. I anticipate that my reverse proxy setup will also come in handy to be able to proxy SSL traffic to multiple services that I am thinking about setting up on this box. IIS will be able to handle multiple domains coming in and proxy them to other applications. It's an absolute win-win scenario. 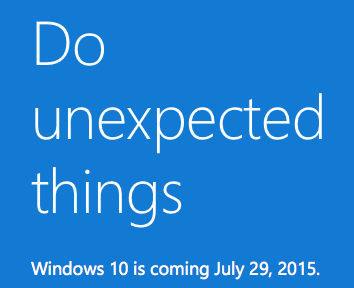 The release date for Windows 10 has been announced. It is coming on July 29, 2015. The upgrade will be free for consumers that are running Windows 7 or Windows 8.1. I am not going to upgrade. If you look back through my previous posts you can easily see that I am a big Windows Media Center fan. Microsoft will not be including Windows Media Center in Windows 10. I have grown quite fond of Windows Media Center ever since I abandoned the Comcast X1 platform. It has been absolutely flawless as a DVR platform for me. With the X1 DVR I was missing recordings of my favorite sports teams for no apparent reason. Windows Media Center has not missed a single recording for me. 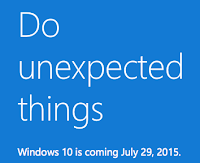 I'm not saying that you shouldn't upgrade to Windows 10. However, if you are a Windows Media Center fan, stay far, far away. It's time that I post what I've been up to lately. This past semester I took a Python and Powershell class. In all honesty, we didn't do too much with Powershell. We only spent about three weeks on it compared to nine weeks on Python. What I didn't expect from this class is that it would cause me to completely dive in to Python. We spent two weeks on Python web frameworks and focused specifically on Django. Django has really hooked me. Once you learn how it works and learn a little Python, it is so simple to get a dynamic, powerful web page running in no time. I think my boss might be annoyed with how much I have dived in to Django. I have now created three web pages on our intranet that have tools I have seen a need for. Two of them I created from scratch, another one is an adaptation of Django-helpdesk for our environment. For years I have been telling myself that I am not a developer. Well, I just might have some developer blood in me. I'm going to continue learning Python and Django and see what else I can do with it. If you have any coding background at all, I highly recommend that you go through the Django tutorial. It is one of the best tutorials that I have ever been through.